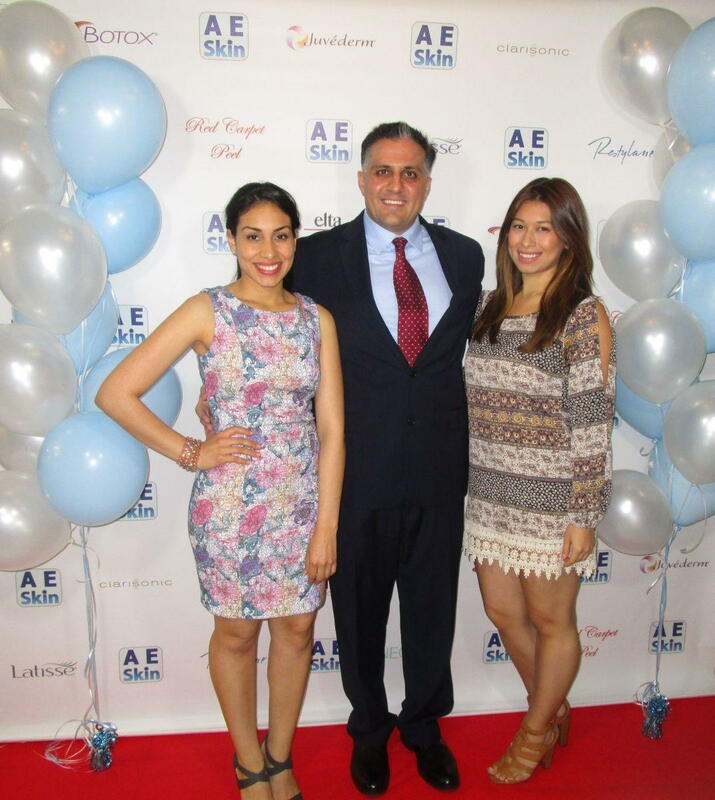 A E Skin held its third annual Red Carpet Event on Tuesday September 30, 2014 from 6 PM to 8 PM in the office. Attendees had opportunities to take advantage of exclusive specials on all products and treatments such as Forever Young BBL IPL Photofacial, Soft and Smooth Rejuvenation, Ultimate Rejuvenation, and Pro Fractional Therapy. Many raffle prizes were given out including A E Skin products, Red Carpet Peels, and other products. Everyone in attendance received a gift bag with goodies such as skin care products. Light refreshments were provided. We rolled out the Red Carpet as usual and provided photo opportunities. This year we also filmed a number of video testimonials on the Red Carpet. Some of the links are below. The Red Carpet Event was our biggest event ever at A E Skin with a turnout of over 40 people. Support was generously provided by Allergan (makers of Botox, Juvederm, Voluma, and Latisse), Elta MD, MD Solar, Revivogen, In Source Medical (providers of Ultherapy and Freeze the Fat). We had so much fun at the event and look forward to seeing our patients at our next event, the third annual Holiday Party. Click here to receive our monthly specials including invitiations to our exclusive events.